The original Friday The 13th, now celebrating its 35th anniversary, is no less fascinating a phenomenon today than it was in 1980. 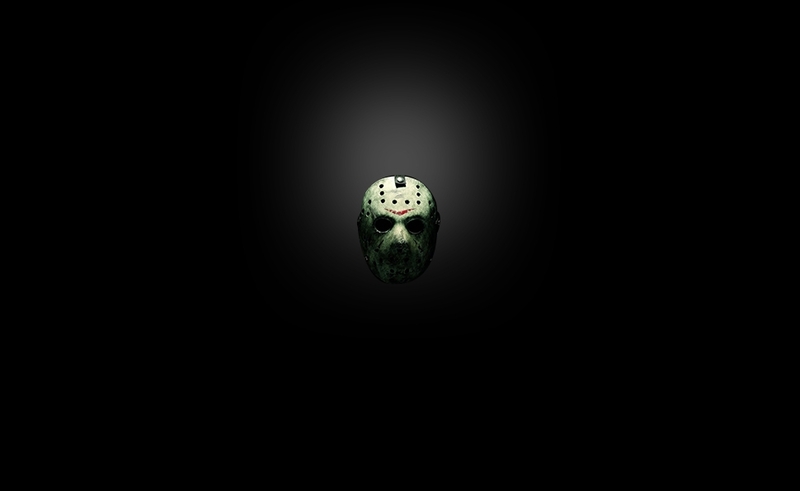 And that’s in spite of its subsequent brand’s reputation as horror’s most overplayed franchise, and the pop-culture ubiquity of hockey-masked, machete-wielding Jason Voorhees. When Friday The 13th first opened, moviegoers would’ve had to seek out the films of Italian horror masters Mario Bava and Lucio Fulci to prepare themselves for its extreme gore and relentless brutality. North America’s previous slasher movies, Bob Clark’s Black Christmas and John Carpenter’s Halloween, were first-class exercises in subtlety, featuring hardly any blood, and earning their scares through artistic, calculated direction and misdirection. Sean Cunningham’s Friday The 13th, on the other hand, bombarded viewers’ senses and good taste. Visual-effects badass Tom Savini went heavy on the blood in his makeup work: a hatchet through a woman’s forehead, an arrow piercing Kevin Bacon’s throat from below. Most intriguing of all, however, was the runaway success of the $550,000 film. The first slasher movie backed by a major studio, Friday The 13th opened on nearly 1,200 screens, and hacked its way to a cool $60 million at the box office. Ten sequels later, and with a second reboot in the works for 2016, Friday The 13th remains a cultural touchstone, a hack-and-slash trailblazer that spawned countless imitators throughout the 1980s, and stands as one of the most influential slashers of all time. But it’s also a rarity among its kind: a slasher that takes itself seriously. Screenwriter Victor Miller directly aped Carpenter’s Halloween, yet Friday The 13th doesn’t feel like a pastiche, mainly because so many filmmakers have shamelessly copied its rhythms, to the point where slasher movies degenerated into predictability midway through the 1980s. Granted, the only way to remember Friday The 13th as a sneakily assaultive little creepshow, rather than a joke itself, is by re-watching it. This post-Scream generation of slasher-movie watchers understandably can’t separate the genre from the humor and wink-wink cheekiness inadvertently initiated by Friday The 13th’s inferior 1980s knockoffs, and knowingly subverted by Kevin Williamson’s brilliantly meta Scream script. Furthermore, the first Scream, released way back in 1996, is the last legitimately scary American-made slasher movie. The rest of this generation’s slice-and-dice flicks are unabashedly nostalgic, and steer away from frights with comedy (like Adam Green’s Hatchet series). Or they’re horror-comedies (like Behind The Mask: The Rise Of Leslie Vernon). Or they were made with the one-note desire to elicit shallow, look-at-the-guts! cheers (The Hills Run Red, Laid To Rest). Or they’re reprehensibly misogynistic nightmares (Muck). And then there’s Alfonso Gomez-Rejon’s 2014 remake of The Town That Dreaded Sundown, which is about 75 percent a great slasher movie, and 25 percent a frustrating climax that’s trying to be Scream. Depending on your age, though, some slasher movies could, in fact, be scary—it’s all a matter of context. For younger people like Zimmerman, who’s 27, films like Scream have mapped out the rules so thoroughly, and with such biting humor, that it’s hard to look back on a Friday The 13th without that Ghostface-informed POV. Older fans, however, can remember seeing those movies in their intended setting: in the theater, and minus decades of hindsight and myth-making. Still, fans of the vintage carnage seen in 1980s slasher high points like Just Before Dawn (1981, riding Friday The 13th’s bloody coattails), The Prowler (1981, again), and the Weinstein-brothers-produced The Burning (wouldn’t you know it, 1981!) have something to be excited about these days—they just need to look overseas. While most American directors are stuck in a slasher rut, international filmmakers have simultaneously been honoring their influences and bringing something new to the proverbial carving board. Arguably the nastiest of the lot, the 2010 Hong Kong film Dream Home uses two atypical narrative elements, a female killer and satire rooted in the economic collapse, to give its insanely gruesome death scenes dramatic weight. Over in Norway, the underrated Cold Prey franchise uses the strengths of slasher gems like Scream (its attractive twentysomething casts) and Friday The 13th (humorless slaughter) to cleverly tell an old-fashioned slasher through a modern lens. Belgium’s Cub, a 2014 film-festival darling that’ll hit DVD and Blu-ray Stateside this August, ups the ante considerably and with mean-spirited audacity: Its slasher is a backwoods-haunting feral kid, and many of its victims are the kid’s pre-teen peers. Cruel, relentless, and totally devoid of comic relief, Cub is the best purebred slasher in years, complete with a multiple-kid death sequence that rivals what’s debatably slasher cinema’s all-time greatest kill moment, The Burning’s infamous raft scene. All those foreign films, particularly Cub, tap into the dangerousness of 1980s slashers, that kind of bold nihilism where the filmmakers didn’t give a damn about taboos or rocking viewers’ worlds. There’s a lot of the shock-and-awe attitude of the controversial 1984 film Silent Night, Deadly Night—which gave youngsters the image of Santa Claus hanging a victim on wall-mounted antlers—in the Dream Home sequence where an innocent pregnant woman gets asphyxiated with a vacuum, shortly after she’s beaten to the point of a miscarriage. It’s no wonder Dream Home’s U.S. reach was limited to IFC Films’ Video On-Demand services, and that it didn’t make it into any theaters that were easily accessible to impressionable young ticket-buyers. Looking ahead, the importance of this kind of innovation is only going to intensify. In the mainstream sense, the slasher subgenre is veering even further away from scariness this year. In June, MTV will première its teen-targeted Scream television series, a modernization of the Wes Craven film’s self-aware comedy and glossy horror. Three months later, Ryan Murphy is set to bring his American Horror Story-tested, tongue-in-cheek campiness to Fox with Scream Queens, which, in the ultimate meta move, will find none other than Jamie Lee Curtis (Halloween, Prom Night, and Terror Train royalty) co-starring alongside teenybopper favorites Nick Jonas and Ariana Grande. And although there’s no confirmed release date yet, Sony Pictures’ recent SXSW-crowd-pleasing horror-comedy The Final Girls, with its cast of young and in-demand TV stars, including Taissa Farmiga (American Horror Story), Nina Dobrev (The Vampire Diaries), Adam DeVine (Workaholics), and Thomas Middleditch (Silicon Valley), seems custom-made for commercial viability.